Black color of the textolite excellently matches with good functional capabilities (first of all, I mean the USB 2.0 controller) and set of accessories. The layout is quite convenient, but there are still some insignificant flaws: audio-ins and a power connector are put in between the AGP slot and the rear panel's unit. It's not difficult to reach jumpers and switches even when the board is already installed. Their functions are shown on the textolite. The 3-channel switching voltage regulator incorporates 3 capacitors of 3300 uF and 4 of 2200 uF. 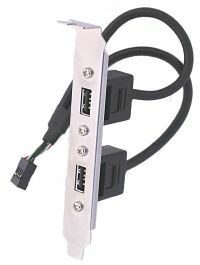 USB 2.0 bus controller based on the VIA VT6202 bus. 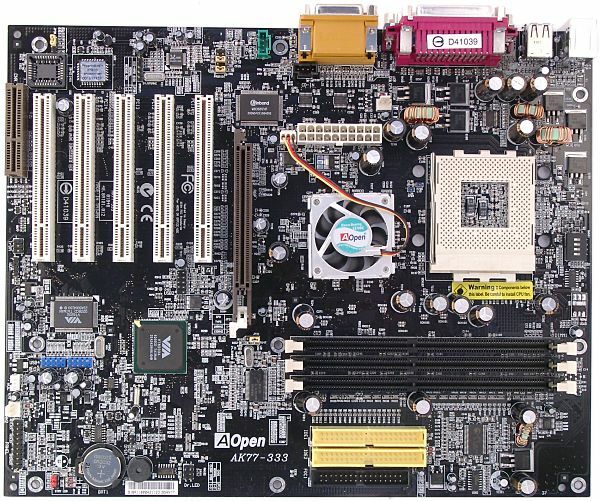 The board supports the following proprietary technologies: Dr.LED (to display information on the POST procedure - the board has a connector - for a bracket with LEDs for a 5" bay) and Die-Hard BIOS (BIOS recovery - the board provides a panel for the 2nd Flash EEPROM chip and a connector for switching modes of this function). temperatures of the processor (thermodiod in processor socket) and the board (a built-in sensor). There are 2 connectors for adjustable connection of fans and 1 for non-adjustable connection (for a fan on a heatsink of the chipset's north bridge). 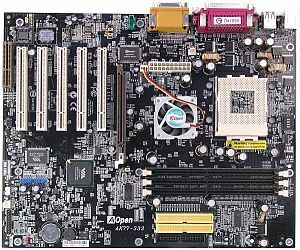 Brief characteristics of the board: memory slots - 3 DDR SDRAM; expansion slots - AGP/ 5 PCI/ CNR; I/O ports - 2 COM/ LPT/ 2 PS/2/ 4 USB 1.1/ 4 USB 2.0; dimensions - 305x245 mm. We used the latest available version of the BIOS - 1.02. 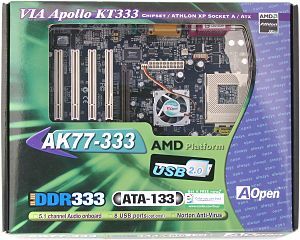 Lack of a great overclocking potential (though the required minimum is provided) is made up for by high quality of the board; besides, such products are positioned for another market - not for extremal users but for those who consider stability and functionality more important.